Speedboat killer Jack Shepherd’s Georgian lover has revealed the convicted killer was ‘crying his eyes out’ when he told her he was wanted over the crash. 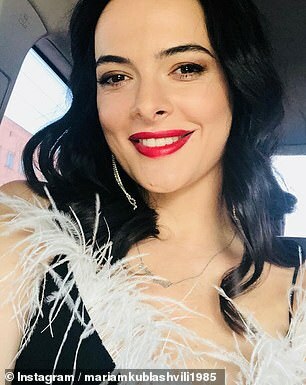 Maiko Tchanturidze is understood to have fled the capital Tbilisi after her romantic relationship with Shepherd was exposed by the Daily Mail. But despite the married fugitive’s actions, his 24-year-old girlfriend is ‘besotted’ and continues to stand by Shepherd – describing him as the ‘best person in the world’. Pictures emerged yesterday of the couple gazing adoringly into each other’s eyes on a mountaintop in Georgia – just weeks after Shepherd had fled Britain last March. The 31-year-old web designer’s relationship with Miss Tchanturidze appears to have become serious enough that they travelled to her family home in Kutaisi, 140 miles west of the capital, in October. Shepherd had not told police about his relationship with the glamorous TV journalist in a bid to protect her, sources said. 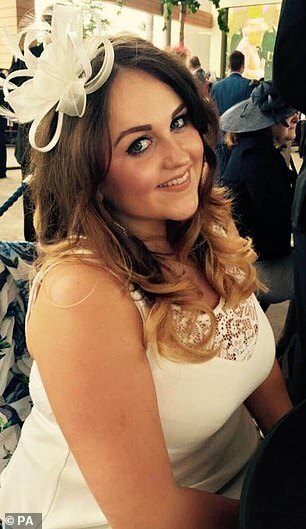 She is now likely to face censure over claims that she knew Shepherd was wanted in the UK for the manslaughter of Charlotte Brown. Last night, a friend told the Mail: ‘She has fled Tbilisi and deleted all her social media accounts. Some of Maiko’s friends and colleagues were unaware of her relationship with Shepherd and she has some explaining to do. Shepherd is understood to have told her he was a fugitive, and gave his version of what happened to Miss Brown, 24, whom he blames for her own death. Sources said Miss Tchanturidze supported Shepherd’s decision to appeal against his six-year prison sentence, but encouraged him to hand himself in after senior UK politicians joined the public outcry over his flight from justice. Shameless Shepherd has asked for a copy of Franz Kafka’s The Trial to read in jail. The classic story about a miscarriage of justice centres on a man trapped in a baffling legal nightmare. Shepherd has requested The Essential Kafka, which includes The Trial, along with Jane Austen’s Pride and Prejudice and an album of photographs of his estranged wife and two-year-old son. He is being held in a ‘special unit’ in Gldani Prison Number Eight, known for poor treatment of prisoners. Videos surfaced online in 2012 of staff beating inmates. Sources said the jail was overrun with drug dealers and murderers but indicated Shepherd ‘will be treated with kid gloves’, adding that guards will ‘look after him’. Miss Tchanturidze told The Sun: ‘He said he had something to tell me. He seemed upset, his face was red. He was struggling to get his words out, but he said he’d been involved in a boat accident where a girl had died, and that he was wanted by Interpol. He said he was going to hand himself in because he ‘didn’t want to be hunted down like an animal’. ‘I was beyond shocked. He was also crying his eyes out. 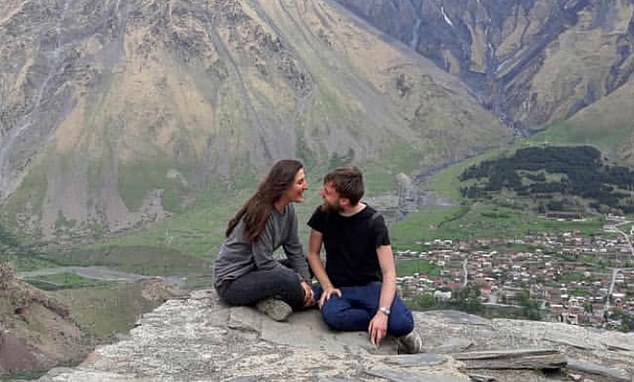 At the time the couple posed gazing into each other’s eyes on Mount Kazbegi, 100 miles north of Tbilisi, the grieving family of Miss Brown, from Clacton, Essex, had no idea that he had skipped bail and fled overseas. Shepherd was said to be a regular visitor at the apartment Miss Tchanturidze shares with her sister in the affluent district of Saburtalo in Tbilisi. He married in Britain two months after killing Miss Brown in December 2015. The couple have a child, two, but his wife threw him out after learning he had cheated. Shepherd has asked for of Franz Kafka’s The Trial to read in jail. The story about a miscarriage of justice centres on a man trapped in a baffling legal nightmare. Shepherd yesterday said his victim’s parents were welcome to visit him in a Georgian prison. 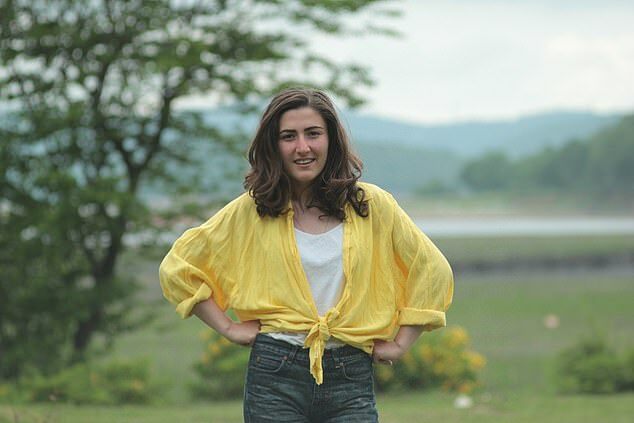 One of his lawyers, former model Mariam Kublashvili, has branded Shepherd ‘a victim of the British justice system’ and vowed he will fight attempts to extradite him back from Georgia to the UK. She said: ‘He wishes to see her mother and father and speak to them as soon as possible. He wants to tell them what happened. He knows he should have spoken to them long ago. Last night there was no response to the invitation from Miss Brown’s mother Roz Wickens, 53, of Clacton, Essex, or her father Graham Brown, 55, of Sidcup, Kent. Miss Wickens had told The Sun on Sunday: ‘I want to look him in the eye and ask him how Charlotte died. He was the last person to see my beautiful daughter so only he can tell the truth about what happened. I want to give him a chance to give an honest account – but I can’t imagine that he will agree to see me. He’s a weasel. Womaniser Shepherd was convicted of Miss Brown’s manslaughter after trying to impress her by drunkenly speeding up the Thames in his defective boat, which capsized. 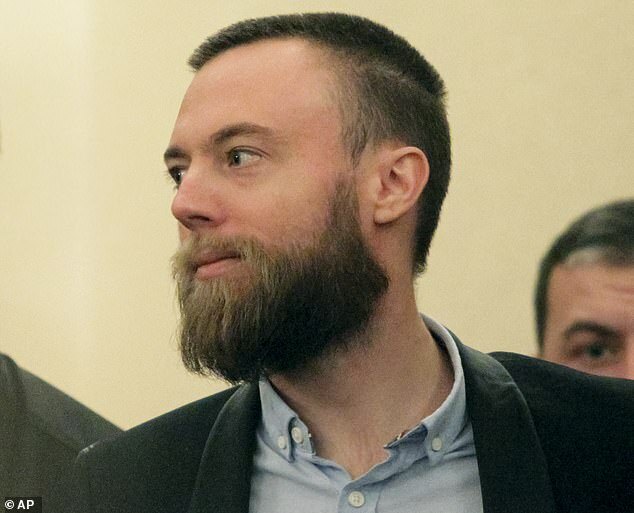 He went on the run before his trial and was found guilty in his absence. Shepherd fled to Georgia, but was able to claim legal aid and allowed to communicate with his lawyers from his bolthole. He was then allowed to appeal against his conviction, funded by taxpayers.